Last week, January 25 and 26 to be precise, Oman air website showed an incredibly cheap return fare of INR 6000-7000 between Delhi and Tehran, Iran. But early this week news broke out that Oman Air will NOT honor those cheap tickets. Muscat Daily and Mumbai Mirror broke the news to larger audience. Oman Air call centre also confirmed they would be contacting passengers soon to communicate their options. Thanks to Muscat based Kishore Cariappa for tip off. Oman Air could have done the same by announcing they will honor these low fare tickets. Yes, while it is not at all economical to fly people from India to Iran and back for just Rs 6800, the move could have created lots of goodwill, free publicity and probably get Oman Air a whole new bunch of customers who would have otherwise never flown with them. Even for Iran tourism it would have brought a whole new set of tourists who wouldn't have preferred traveling to Iran otherwise. Not clear how many tickets were sold at that fare. Assuming a thousand people booked it within 2 days, Oman Air is looking at a loss of 1000 tickets * 30000 INR per ticket, which is 3 crore rupees. If the publicity they would get and the goodwill generated is deemed more valuable (compared to advertising/marketing cost involved), it makes sense to honor these tickets. While this particular transaction may not be profitable, passengers may buy add-on services, they may book additional tickets for friends/family who would join them, at normal fares or prefer Oman Air in future over other airlines due to good experience- All these would mean more revenue in future. Also to be noted that if not honored, more than 95% would simply take refund and WILL NOT pay 39k extra as Oman Air would expect. Because most of these passengers didn't have any compulsion to visit Iran- they booked only because the ticket was so cheap. Trip doesn't make economical sense if they have to spend 10x more now (like another 40-50k for return as per current standard fares) So the decision of NOT honoring is NOT likely to bring more money. 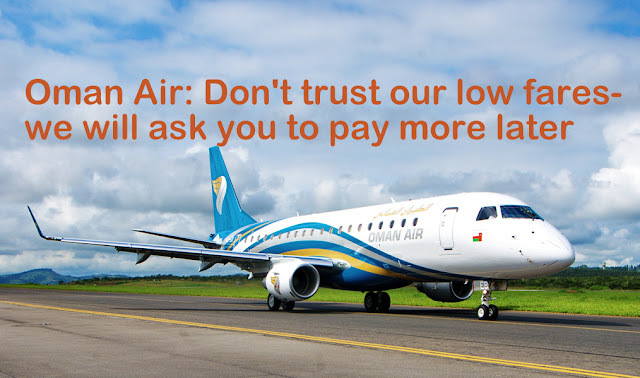 Worse, disappointed passengers will not take Oman Air seriously during future sales/promotions as there will always be a fear that airline may not be honoring what it offered. Visiting Iran creates complications while traveling to many other countries-particularly US- so many are reluctant to visit Iran. Super low fare could have helped overcome that fear and consider visiting Iran. If one has to pay 40-50k, there're hundreds of other destinations world wide that one can visit. Why bother going to Iran risking lots of repercussions for future travel? Personally I would have been happy to visit Iran if fare is tempting. I don't have any interest in visiting Iran if I have to pay 30-40k for the ticket. There is no official mention of this anywhere in Oman Air website or social media handles. I guess they don't want more people to know about this and would prefer to close each case privately by communicating with passengers one to one. I am told not all affected passengers have been spoken to yet and they can expect a communication over coming days. What is your take? Would you travel to Iran by paying 40-50k INR? 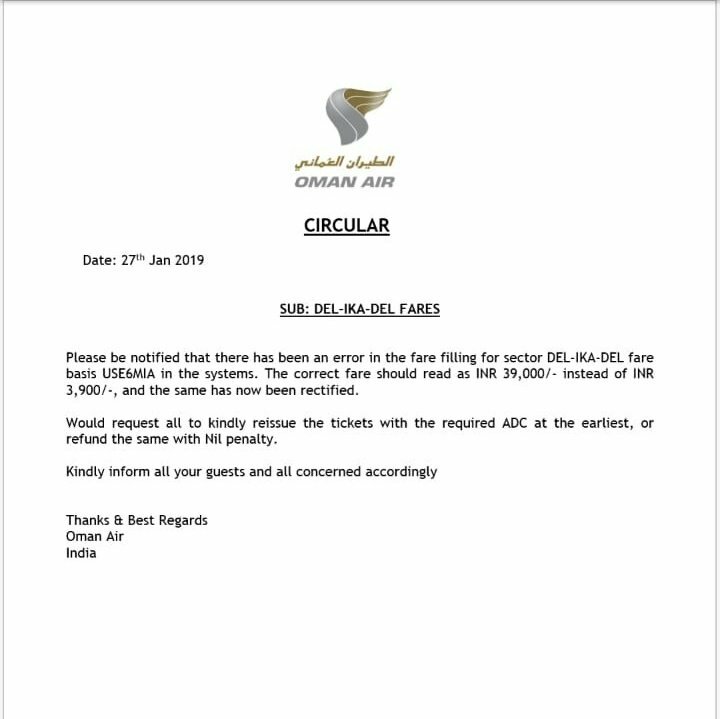 Do you believe Oman Air stands to gain in terms of goodwill and publicity by honoring these tickets?